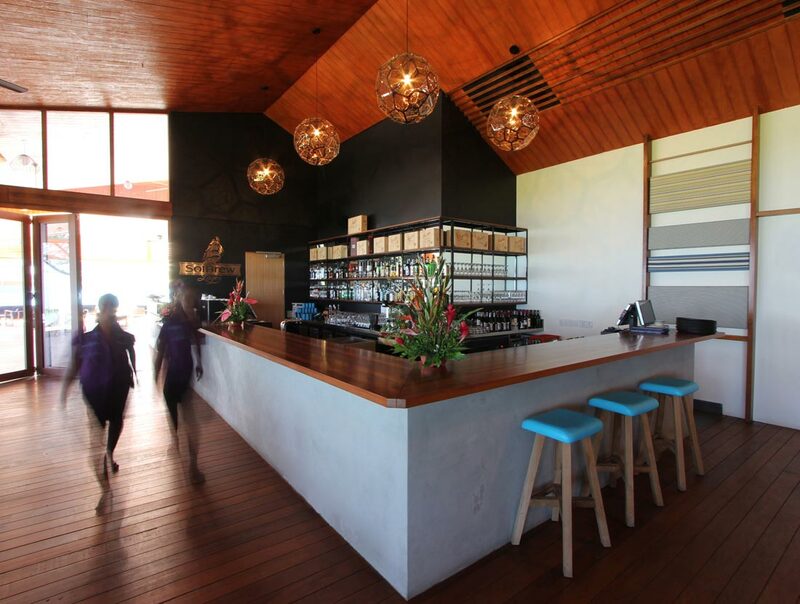 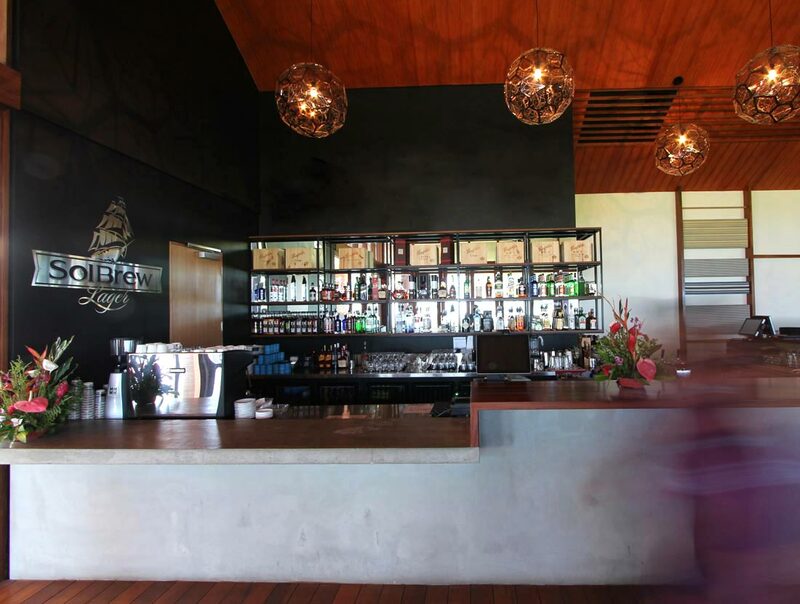 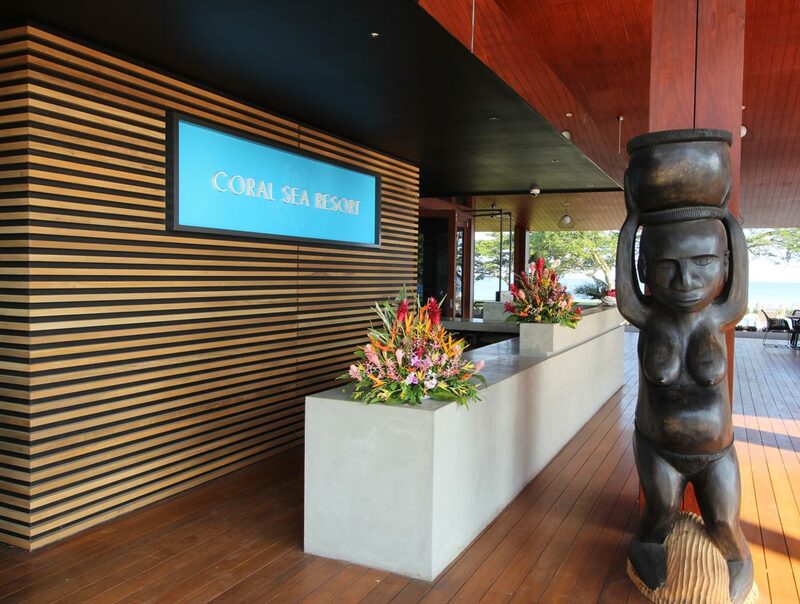 Located in bustling Honiara, the recently completed Coral Sea Resort comprises a restaurant, bar, casino, pool, hotel rooms and villas – all of which have been designed to optimise the sea views and cooling breezes. 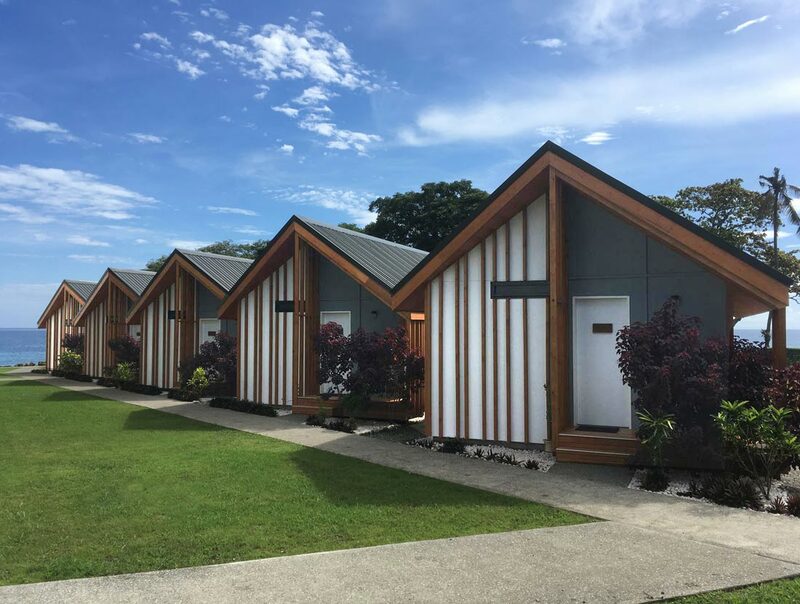 Due to the remote location, the use of prefabricated, modular construction was initially investigated however it was resolved that traditional timber construction, drawing on local labour and building techniques, would be more efficient and cost effective. 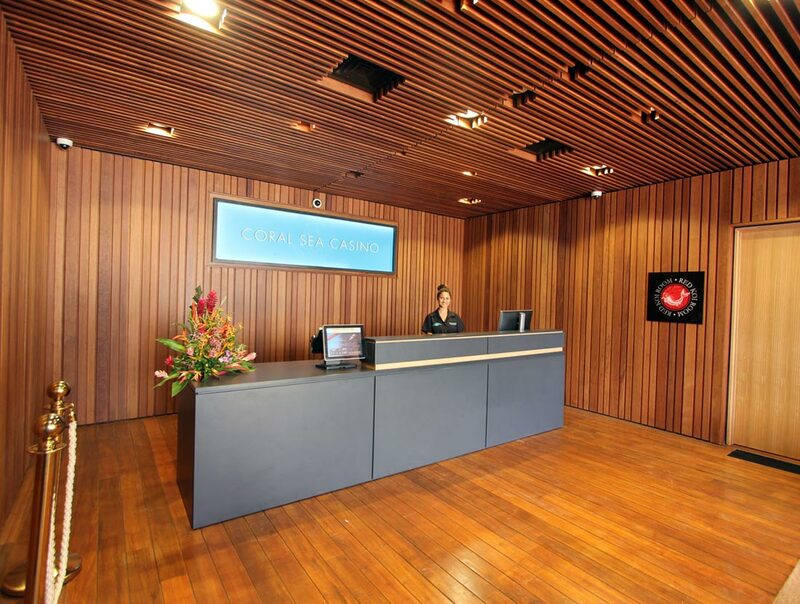 After master planning the site, the main building housing the reception, the bar/restaurant and casino commenced. 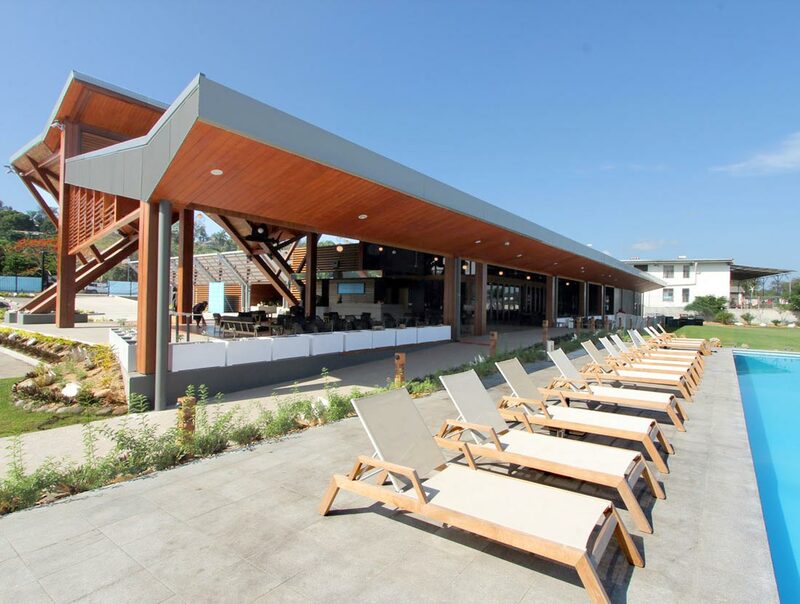 It was designed to optimise the use of local materials and trades and to capture the stunning sea views wherever possible. 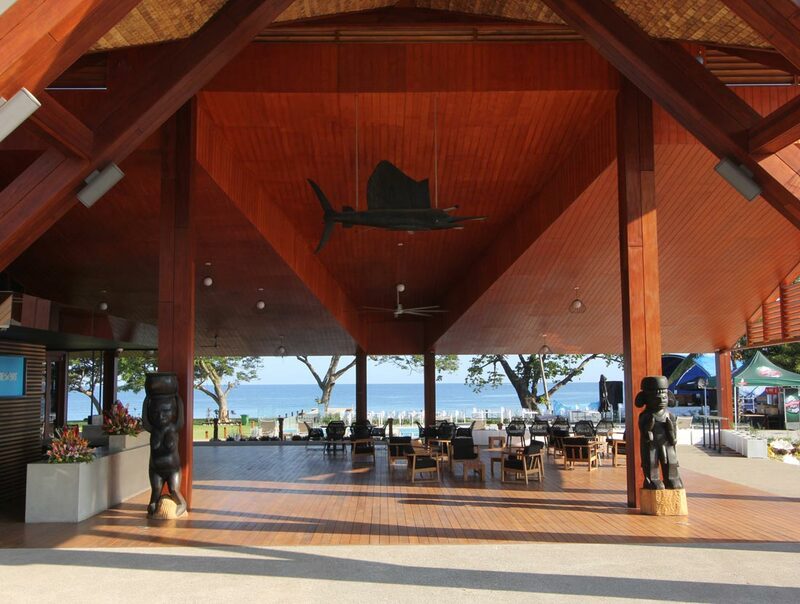 The pitch of the main roof, with a part-thatched, part-timber lined ceiling frames views across the pool and out to sea. 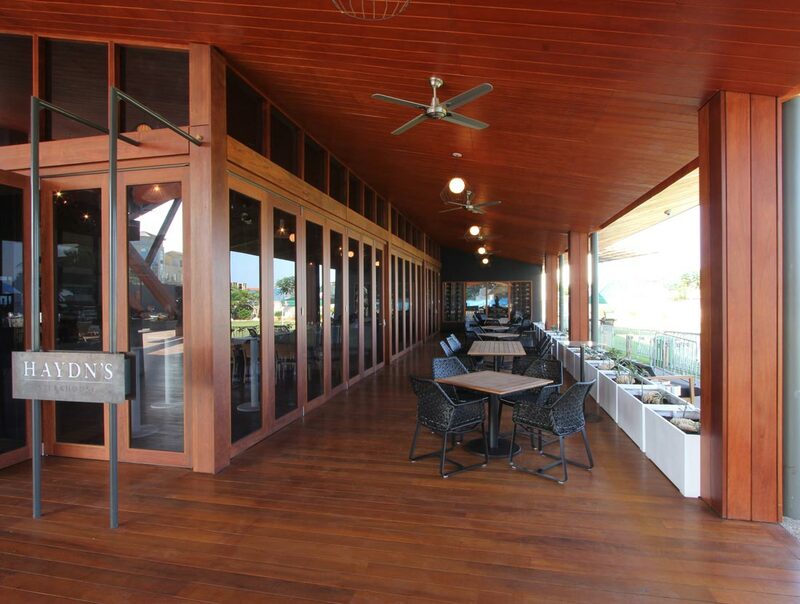 With three open sides, this area provides a shelter from which to experience the drama of the tropical weather patterns, with beautiful sunny mornings frequently followed by torrential afternoon storms. 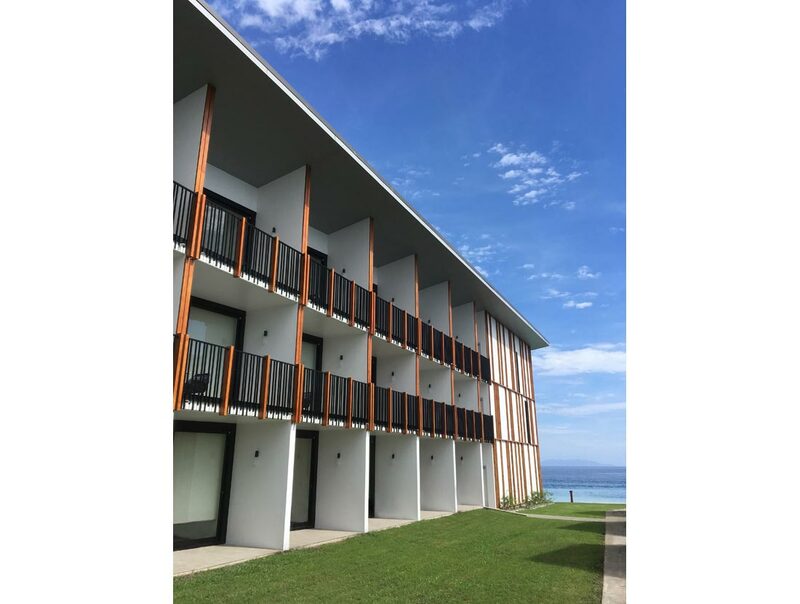 Two types of accommodation are provided; towards the site’s boundary is a 3 level, 30-room hotel offering long range views across the Iron Bottom Sound, while the 5 free-standing luxury villas are located on the central lawn, adjacent to the pool and ocean bar. 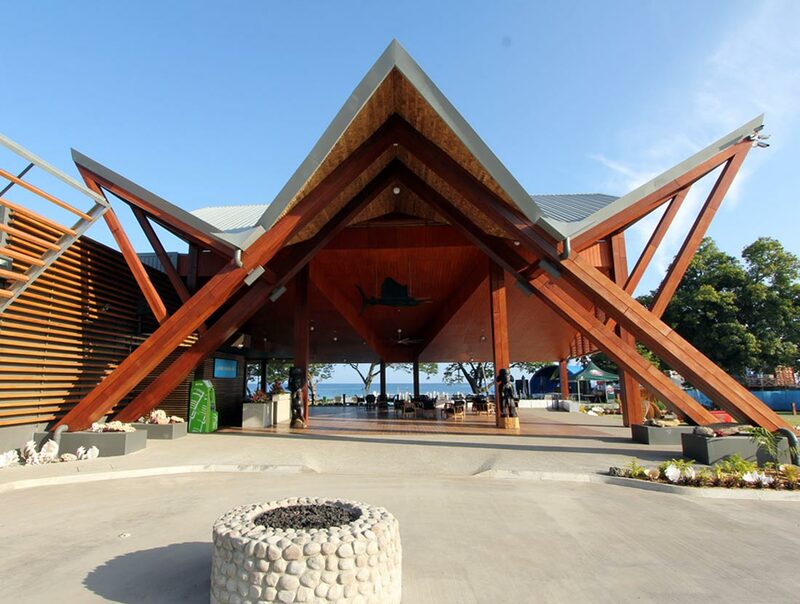 The transformation of this left-over land on the outskirts of Honiara into a welcoming, green oasis that serves as both a major employer of local people and a preferred tourist destination has been a remarkable and satisfying journey.